At Lifestyle Chiropractic & Fitness Center, We Can Help! There are approximately 18,000 car accidents each day in the United States ranging from minor fender-benders to death. Of all of the accidents approximately 50% of the people involved will be injured… and approximately 50% will have chronic ongoing pain. Don’t Let This Be You! 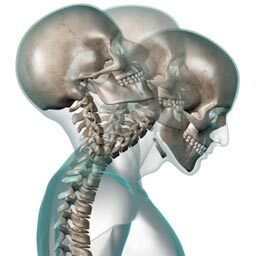 Most of the accident clients we see look a lot like this: I was in an accident, I was taken to the hospital, there may or may not have been x-rays taken, I was given pain medication and sent home. Over the next few days the pain became worse and I was unable to work or found it difficult to work. The pain is getting worse or it is not getting better, I wonder if they missed something at the hospital? Will my body ever become normal again? Who is going to pay my bills if I miss work? If you have a medical doctor, great, we will work with them. If you need an MRI we can order one. We utilize the most effective types of treatment for these cases. We can help you find a reputable attorney if you need one and we will work with your attorney if you already have one. And we accept auto medical coverage (med-pay).